Cocoa butter great nourishes, moisturizes, softens, restores, revitalizes and tones the skin, making it softer, smoother and more radiant. In addition, it has smoothing properties, making it easy indispensable in the fight against wrinkles. Cocoa butter is suitable for the skin around the eyes. 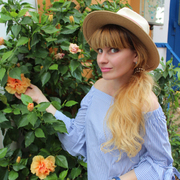 Using cocoa butter for face, you can avoid skin penetration of various harmful substances and toxins, which is especially important for residents of cities. 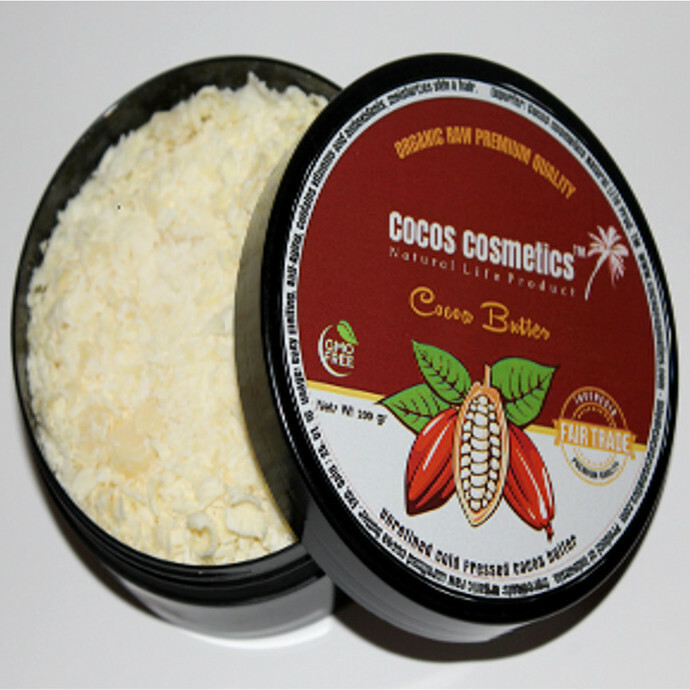 Cocoa butter accelerates repair damaged skin cells, effectively used to eliminate skin blemishes such as scars. 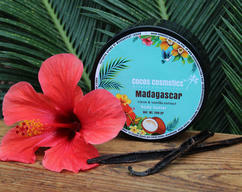 Cocoa butter is easily and quickly absorbed into the skin, it penetrates deep into the cells, leaves no greasy. Suitable for all skin types. 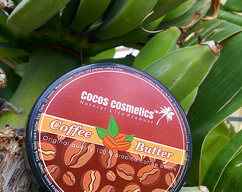 Cocoa butter is number one of the most effective means of stretch marks and cellulite. It helps not only treat existing defects, but is an excellent prevention of stretch marks and cellulite. 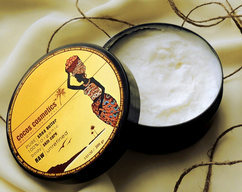 Cocoa butter used for stretch marks on breasts, thighs and abdomen. 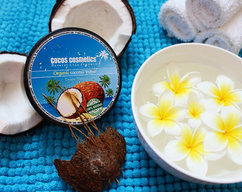 Melt a little butter in the " water bath ", then apply on wet skin, clean face and body, massaging in a circular motion until completely absorbed, used instead of cream. Be careful about the temperature. When you heat the water bath for the butter melting, it could be hot, don't burn yourself. 100 % natural cocoa butter. Weight 150g. Made in Indonesia. Store in a dark, cool place or refrigerator. Shelf life 2 years.